The expenses involved with transporting goods to distribution centers and customers can make up a significant amount of the operating costs for a business. However, one tech manufacturer discovered a way to improve the effectiveness of its distribution supply chain while cutting its carbon emissions. Hewlett-Packard transports computers and monitors by rail between China and Germany, according to Sustainable Business News. The journey spanning more than 6,700 miles and across six countries begins in Chongqing, China, where HP factories are located. Since this location is located inland, it is difficult to ship products by sea. The solution for a more cost-effective delivery system was devising a rail route that would travel in a course parallel to the famed Silk Road before the train arrives to distributors and customers in Germany. The company's group of supply chain professionals made arrangements with the government officials and rail systems operators in each of the six countries it goes to. HP said train routes began testing in March 2011 with the current route solidified in March 2012. 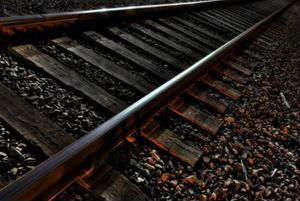 The express train takes an estimated three weeks to arrive when traveling at speeds of up to 50 miles per hour. "Despite the distance, the journey is cost-effective and better for the environment than air transport, and it's faster than ocean shipping," said HP in a blog post. Detailing its distribution supply chain, HP said traveling by rail not only costs one-third that of air transport but also lessens its environmental impact as it yields one-thirtieth carbon emissions than shipping via air carrier. Employing express trains also has the advantage of being faster in transporting products as it takes up to 35 days to move products from remote locations such as its factories within inland China to coastal centers where planes travel. iPhone 5C, C for Cheap or Colors?